"The entire Mercure Avignon Centre Palais des Papes hotel team welcomes you to the heart of the medieval city of Avignon. We will be delighted to provide you with advice on the best places to visit on your excursions in our beautiful city and Provence! Located in the center of town and with direct access to Place de l'Horloge, the Mercure Avignon Centre Palais des Papes hotel is in an exclusive location at the foot of the Palais des Papes, 2 minutes from the bridge and close to the train station. 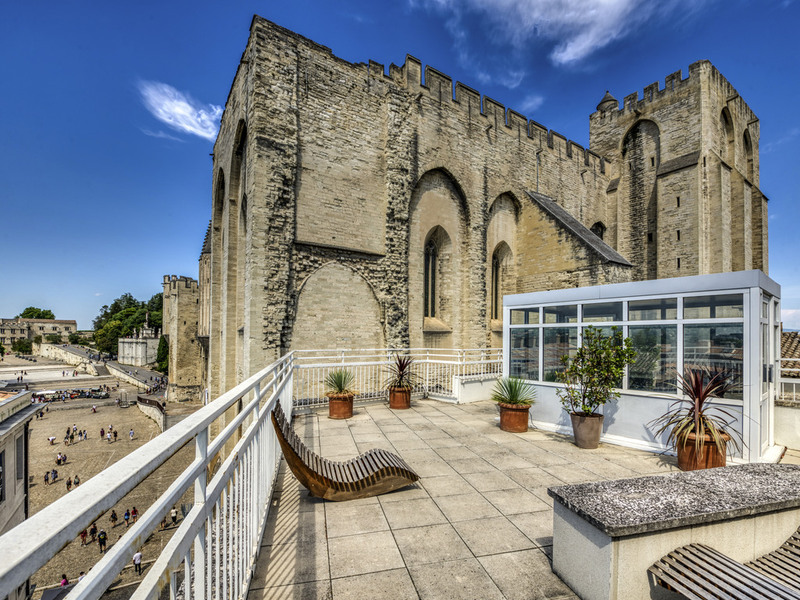 Meet your colleagues on the terrace during a business trip or discover the charms of Avignon with your family. This hotel offers comfortable rooms in a warm and relaxing atmosphere. At the foot of the Palais des Papes, a 5-min walk from the famous Pont d'Avignon! Our "La Boucherie" concept restaurant specializes in meat, offering quality products to our customers on a daily basis in an original, friendly atmosphere. In the style of a butcher in Les Halles.